Metuchen Public Library, 480 Middlesex Avenue, Metuchen. Local History Day is Coming! Metuchen Library. 480 Middlesex Ave. Metuchen. 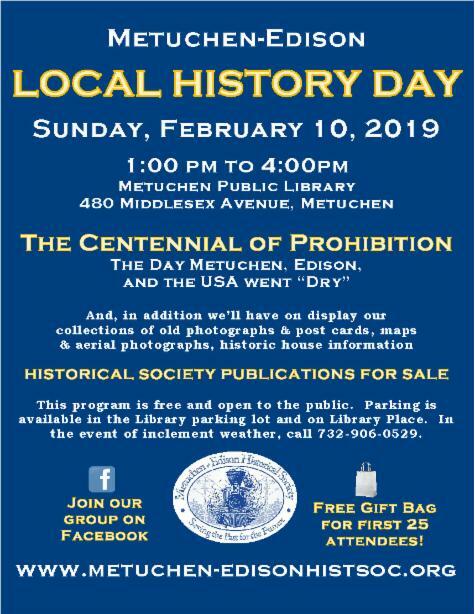 This year featuring items relating to the Centennial of Prohibition, plus our usual display of old photographs, maps, old house information, and sale of our historic publications. Photos and displays highlighting the southern part of Edison. Our April 7, 2018 program on the History of North Edison was a great success. 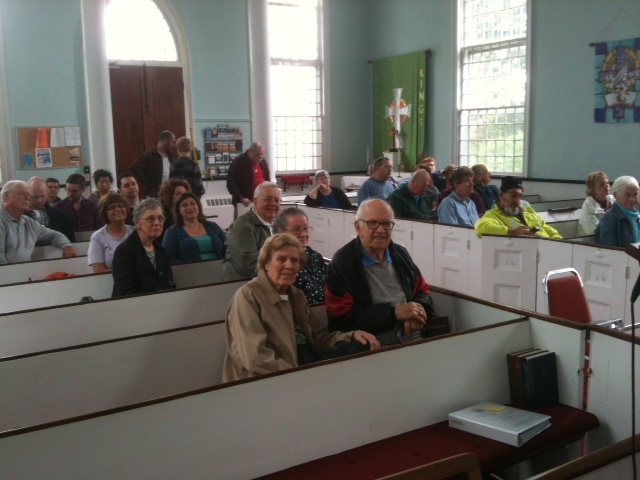 We had 107 people attend, and it was broadcast on Edison Cable TV. In November 2014 the Metuchen-Edison Historical Society began a survey and study of the Piscatawaytown Burial Ground. The cemetery was established in the1690s and over the years there have been various recordings of the graves, but none since 1978. Using GPS technology, every grave existing in 2014 has been recorded and mapped. In addition, the various lists of graves have been combined into one database that will be placed on the MEHS website and a list of Veteran burials has been created. This program will shed new light on who is buried there, the history of the burial ground, and how to use the new maps and lists to find graves. Afterward, a walking tour of the cemetery will be conducted. For more information contact: Walter R. Stochel Jr. 732-906-0529 wstochel@earthlink.net. Grant funding has been provided by the Middlesex County Cultural and Heritage Commission, Middlesex County Board of Chosen Freeholders through a grant provided by New Jersey Historical Commission a division of Dept. of State. The Society will be participating in the Middlesex Country Cultural & Heritage Commission’s History Fair at the East Jersey Olde Towne Village located in Johnson Park in Piscataway. 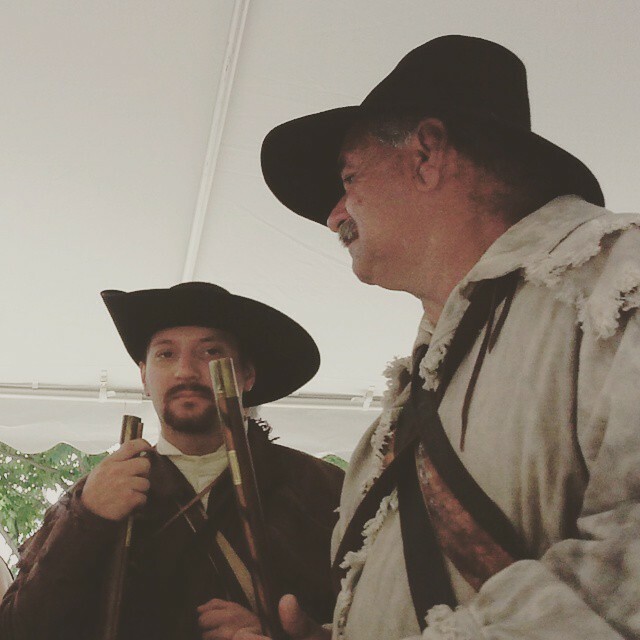 This event will feature a variety of living history demonstrations including blacksmithing, furniture making, chair caning, decorative arts, and more. 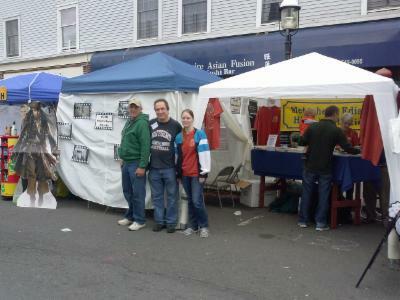 Our table at the Fair. Rev. War reinactors visit our table. 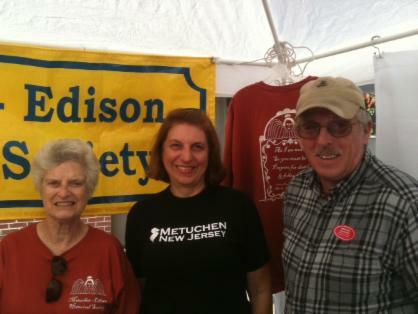 NEWS: Society wins special award at the Metuchen Country Fair on October 18, 2014 with its "At the Movies" booth. 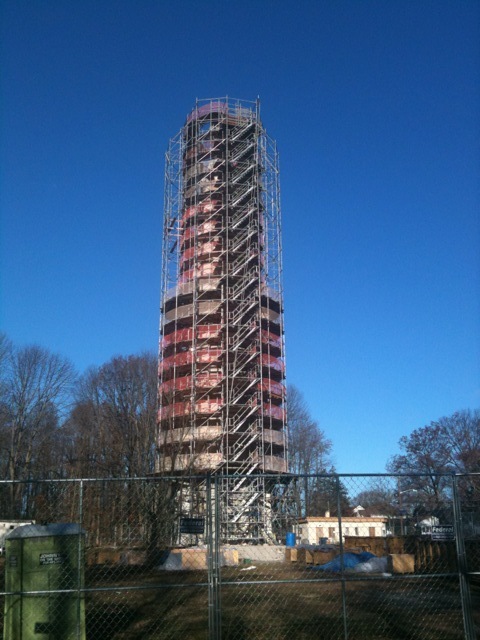 NEWS: Short Hills Battlefield listed on the National Register 5-9-2014!! Click here for details. NEWS: Nannygoats the First Decade now available! Click here for details. 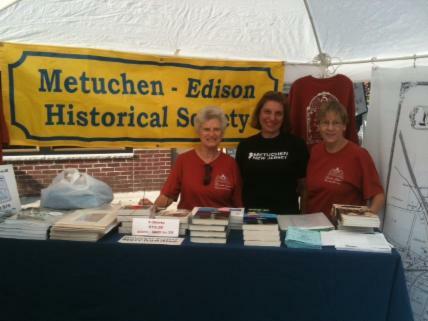 NEWS: South Edison History Day a Success. 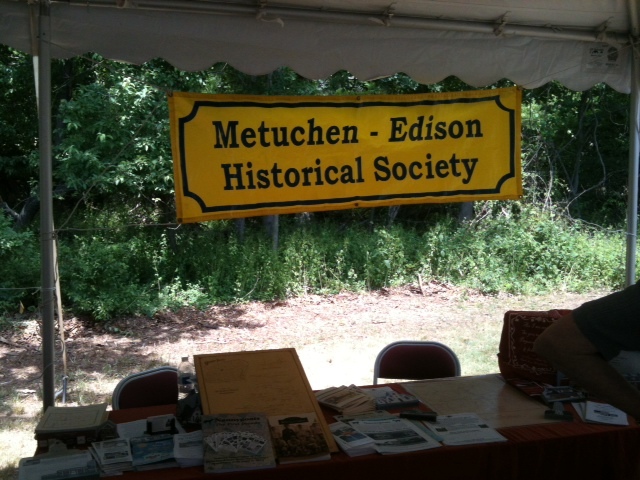 More than 50 people attended South Edison History Day on June 8, 2013. MEHS displayed items from our collections, and did a 40 minute presentation on the history of that part of the community. 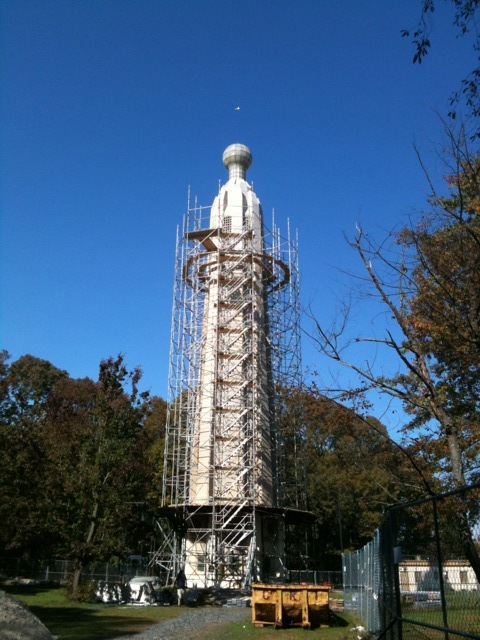 A new scaffold is being installed for the restoration work. 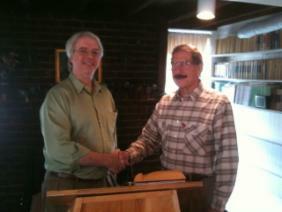 Society President Fred Wolke welcomes author Bill Bowman to our October 2010 meeting. 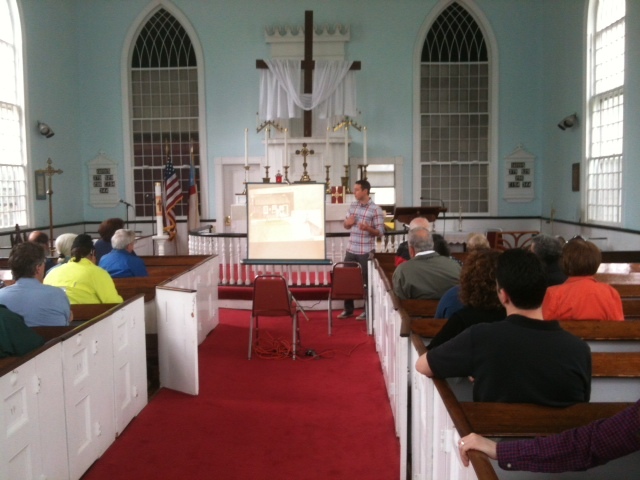 Bill did a talk about a 1980's murder in Metuchen, and the book he wrote called Murderer of the Year. The Society gets a major grant, click here for more information.